From www.somedayilllearn.com (and I thought maybe this lady was a member here..?) Had this for supper and it was de=lish! Maybe too good! your welcome. leftovers for lunch were pretty good too! Looks great! I think I'll pop one of these in the oven this weekend! Thanks for sharing! I think this will also make a great 'make ahead' meal for those nights when I know I'm going to be stretched thin and it will be too easy to grab something off plan or for lunches at work. I made one of these the other night andI been eating it for the next 2 days... it was incredible. I also tried it out on my co workers and they loved it too. def worth trying this one. I dunno about everyone else but I have now made this dish about 4 times since it was posted up :-) Great find.. I like that it lasts a few days too. That's why I shared it spike, it was too delish to keep to myself! I only have ground chicken in the freezer. Gonna try it with this tonight. Hope it works. Jody - just so you know.. making this for the 14th time tonight LOL :-) amazingggg recipe.. thank you so much for posting it .. 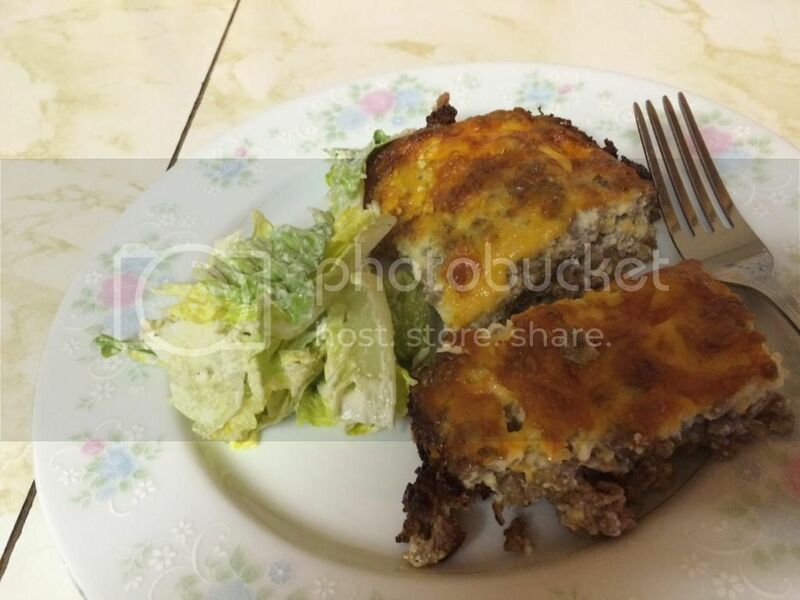 I found this recipe in the newspaper in like 1973, a mom had asked the food editor to make "hamburger pie" healthier,after taking out flour, etc this was the result.…and it was a favorite for years and years. On a whim I put pickles in meatloaf the other day --- it kinda gave it a "cheeseburger" essence. So if you balance the other liquids with some pizza sauce? Huh? Some peperoni and shrooms? The possibilities are endless.